North Korea or not? There’s still a lot we don’t know about the attack on Sony Pictures and those behind it. After two weeks of investigations, anonymous government officials told some reporters and politicians on Wednesday that North Korea was behind the attacks. But on Thursday, U.S. officials resisted making the same allegations in public and didn’t release any evidence to back up the anonymous claims. North Korean involvement is certainly possible. After all, defectors have spoken about North Korea’s cyber attack force and training. But it also plays into a popular and easy-to-believe narrative about the country. North Korea has been blamed for a string of hacks in the past, and it’s generally accepted that the country has the capability to hack and attack companies. But no previous attack attributed to North Korea—or any nation-state—has been so public and so noisy. In the past, attacks happened, North Korea was suspected, and then sometimes the country was later blamed. It rarely said anything, except for an initial denial. This time around, the hacker group has posted messages online taunting Sony and telling the FBI they cannot be caught. Early on, they were also interacting with reporters. It is, however, very similar to plenty of hacker activist attacks made against major corporations and governments and—it’s worth noting—against North Korean Internet sites in May 2013. In those attacks, thousands of user names and passwords for North Korean news site “Uriminzokkiri” were leaked by hackers operating under the “Anonymous” banner. 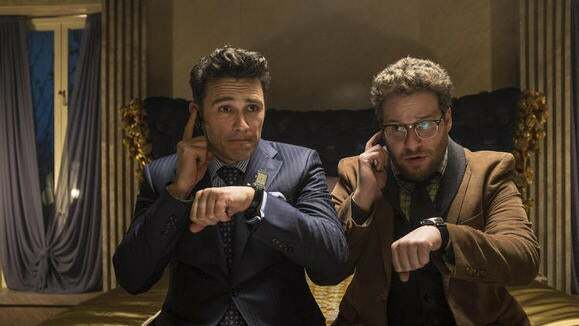 If the hack was all about stopping the release of “The Interview,” why didn’t that come up earlier? For the first couple of weeks, the messages that accompanied leaked data didn’t mention the movie at all. It was much more about Sony and its executives—something underlined by the vindictiveness of the leaks. The movie wasn’t mentioned until a message on Dec. 8, and then it was in addition to previous demands made by the group. The movie wasn’t mentioned by name until Dec. 10, when the hackers also issued their threat to movie theaters. If you don’t follow North Korea closely—and few do—you’d be forgiven for thinking that’s a pretty damning statement of intention. But such threats are business as usual for North Korea. Take the death of Jang Song Thaek, Kim Jong Un’s uncle, who was removed in a purge a year ago. A report, eventually traced back to a Chinese satirical website, said he had been killed by being stripped naked and fed to a pack of ravenous dogs. Newspapers jumped on the story without questioning its source, and it made global headlines for a day until cooler minds noted he was probably killed by a firing squad. And then there was Kim Jong Un’s former girlfriend, Hyon Song Wol, who, according to newspaper headlines in late 2013, had also been purged and killed by firing squad. In May this year she appeared on North Korean television speaking at an event in Pyongyang and looking very much alive.